This month, I’ve added an expandable section to each mod with information about mod requirements, compatibility, and known issues. Please let me know if you find these useful, either in the comments or by getting in touch through any of a number of social platforms. Note that you can use the Stellaris Mod Manager by Wojciech Krysiak to identify compatibility between specific mods. Premade empire traits are broken. You can workaround by customising the premade empire and re-selecting the affected traits before saving. This has to be done every time Stellaris starts. Night lights don’t display on colonised planets. 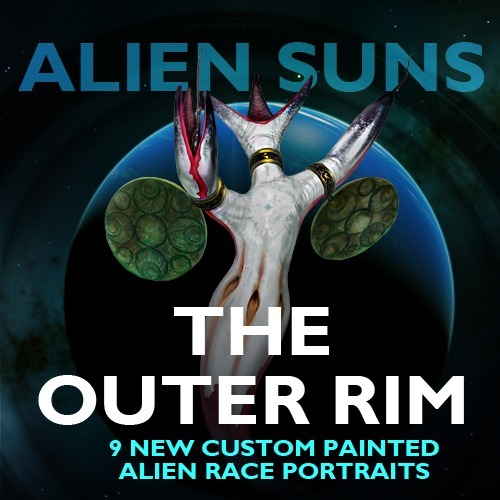 The long-awaited expansion to the original Alien Suns mod has finally arrived, with nine new (totally original, static) alien race portraits. Also included are 14 new namelists. The aliens featured in Alien Suns are incredibly detailed and highly imaginative; there’s nothing else quite like them! 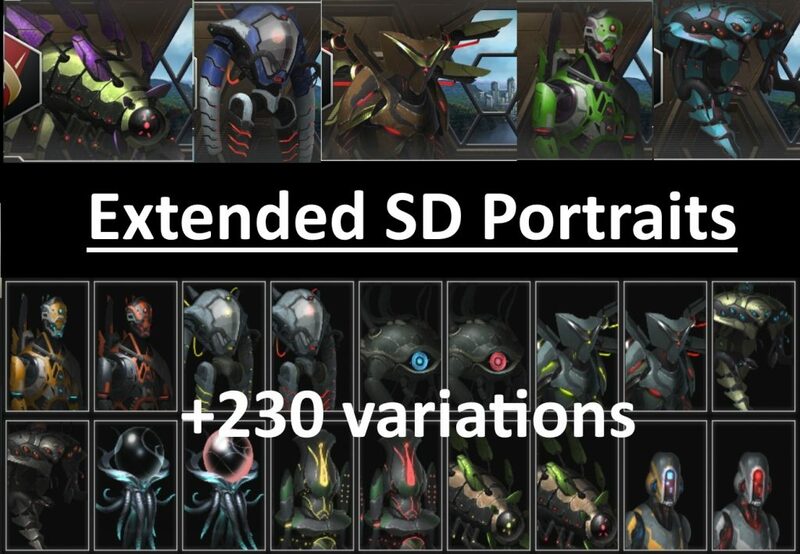 Odin Gaming has a list of Stellaris portrait mods (animated and static) with more mods like this. Portrait mods are generally highly compatible and don’t cause issues when installed alongside any number of other mods, including other portrait mods. This is something I have personally been waiting for for some time; an extensive set of animated silicoid portraits. Something like this was conspicuously absent from the Stellaris species roster. There are variants of the various portraits and sexual dimorphism in some. 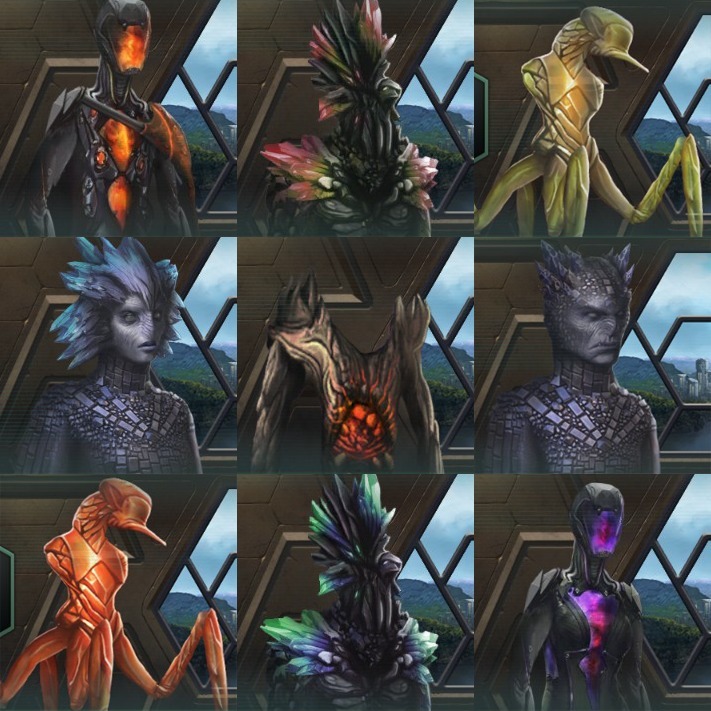 The mod also builds on the new archetypes species system introduced with Stellaris 1.8 and, as such, every silicoid species has a special “Silicoid” trait, which has a number of effects including the fact that they don’t need regular food to sustain themselves (at the cost of reduced growth), an effect reminiscent of the Silicoids in Master of Orion. 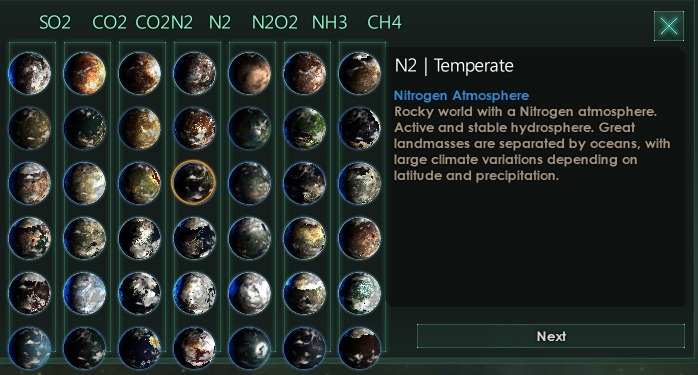 On top of this, there is a special set of traits from which to choose for silicoid species, akin to the Machine Empires introduced in Stellaris: Synthetic Dawn . 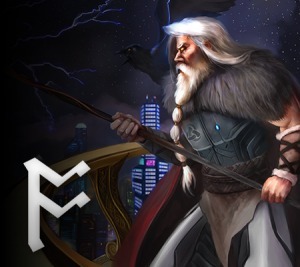 Also available are two new civics, a city set, and two premade empires. This mod will save your index finger with a number of settings which can, if you wish automatically build or improve buildings on your worlds. 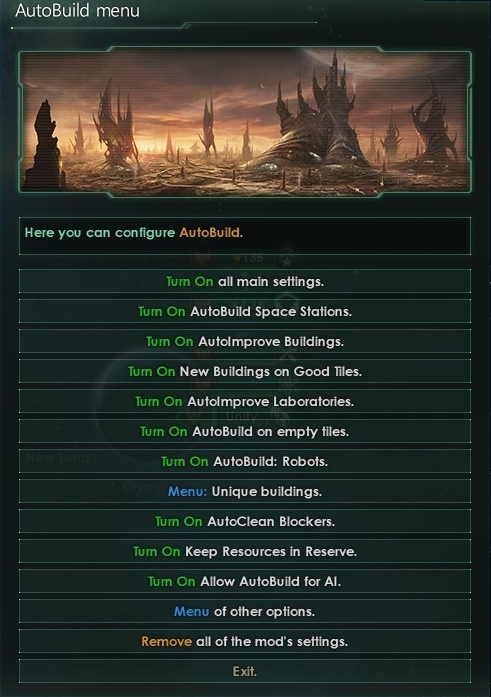 There is an options menu in-game as well as administrative planetary edicts to help with some of the mod features. Any mods that remove vanilla buildings. Allows you to totally ban a faction at the cost of an influence penalty for 10 years. Pretty much any other mod that modifies factions, including Enhanced Robomodding in this month’s roundup. 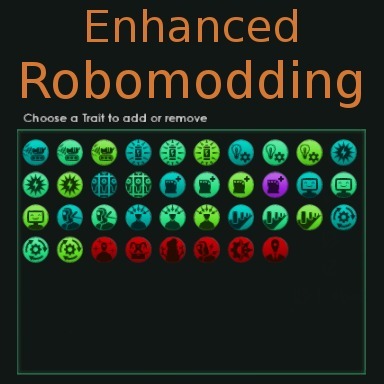 Enhances late-game robomodding by adding more advanced versions of existing traits. 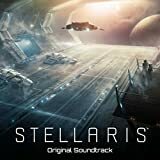 This does require Stellaris: Synthetic Dawn . This mod can be expanded (with additional traits) by also installing the Gigastructural Engineering & More partner mod. 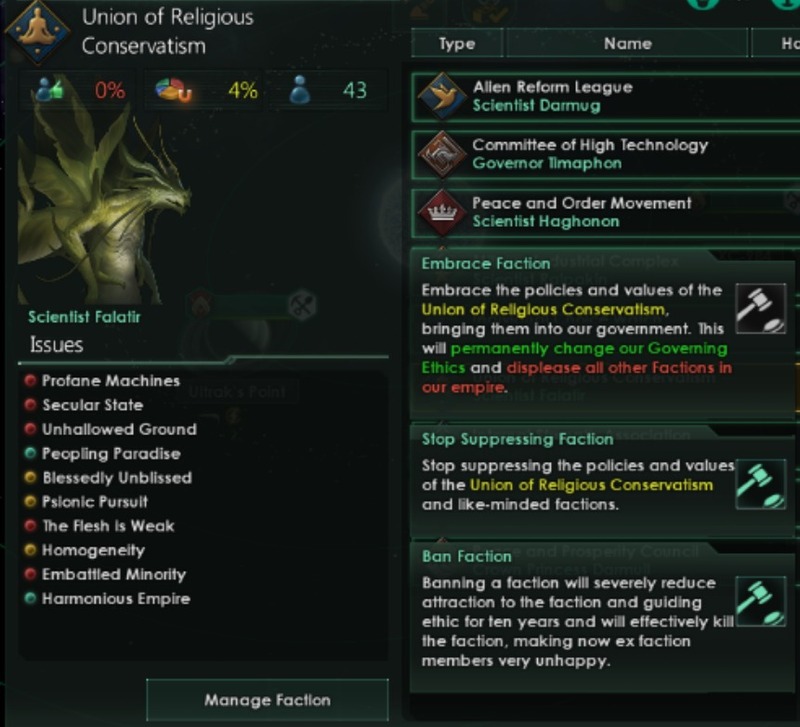 Odin Gaming has a list of of Stellaris empire customisation mods with more mods like this. Banned! in this month’s roundup. Adds variations to existing Machine Empire portraits (e.g. altered armour colour) as well as adding additional Machine Empire portrait sets that use red lights instead of the vanilla colour. A simple way to expand portrait variety. This does require Stellaris: Synthetic Dawn . Allows terraforming of habitable ringworld section into a machine ringworld, which confers similar advantages to machine worlds (+25% production) at a cost. You can also terraform back to a normal ringworld section. This does require Stellaris: Synthetic Dawn and Stellaris: Utopia. 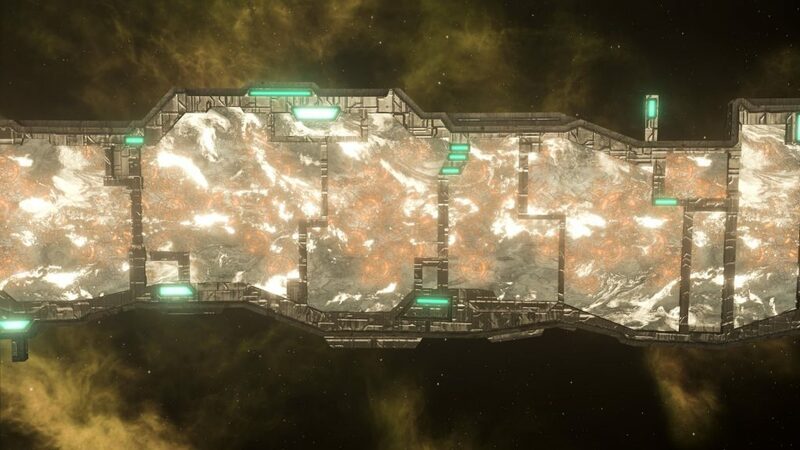 Odin Gaming has a list of Stellaris beautification mods with more mods like this. There are no modified vanilla files so this should be compatible, in principle, with anything, including other mods that add more world graphics and alter terraforming rules. 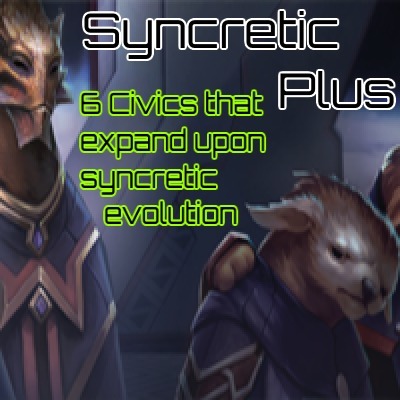 Adds six new civics to expand the syncretic species mechanism, such as “Livestock Ranchers” (syncretic species has the delicious trait) and “Worshippers of Sentience” (syncretic species has massive unity buff). This requires Stellaris: Utopia. There are no modified vanilla files so this should be compatible, in principle, with anything, including other mods that add more civics.